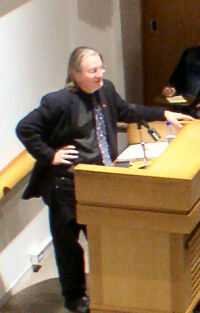 A couple weeks back Bruce Sterling came to town and gave a talk at Kamphoefner Hall on the NC State campus. 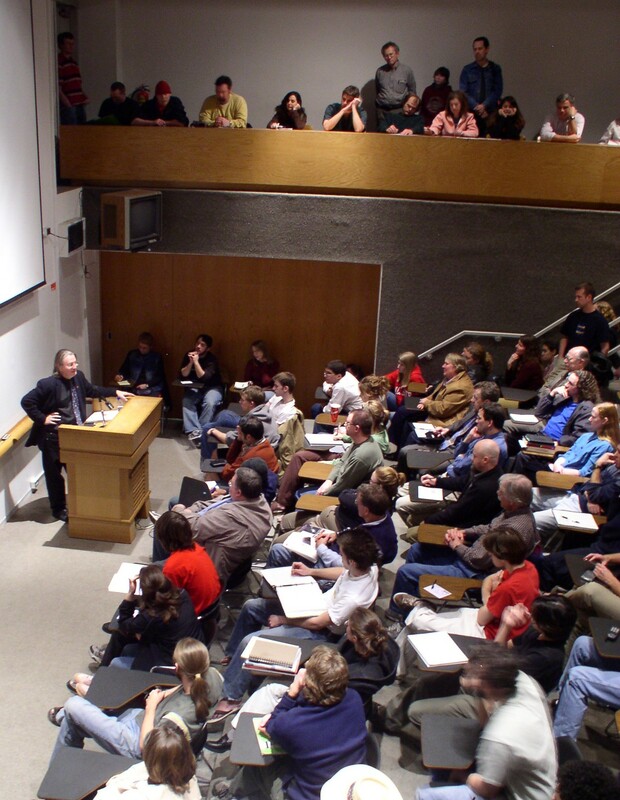 It was a standing room only crowd for the event that was co-sponsored by the Master of Fine Arts in Creative Writing program and the design center. It was an excellent, wide-ranging talk. If you didn't make it to the talk, you can see him cover many of the same ideas in a streaming video of his talk at Germany's "Ludwig-Maximilians-Universitaet Muenchen"
Thanks to Suzanne Stanard for the pictures of the event.